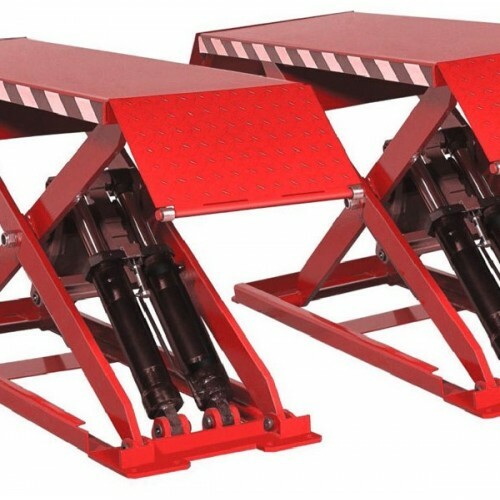 Scissor structure with floor installation, convenient for tyre operation and wheelbase maintenance. Hydraulic cylinders locking each other and anti-explosion for pipe. Only 105mm height to lift car, surface installation. Italian hydraulic power unit, imported electrical components.